Availability:: Ships within one week of payment. 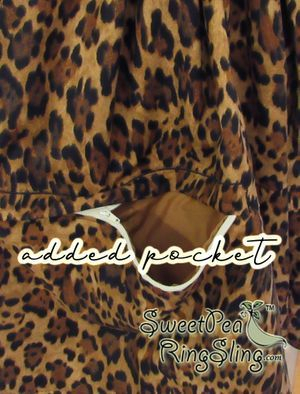 Leopard Print add a pocket? 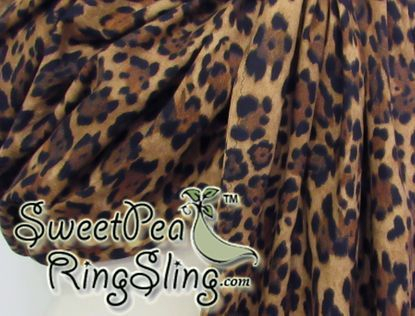 If you are already familiar with my slings, this sling is a little bit thicker than the standard two tone cotton SweetPea Ring Slings. 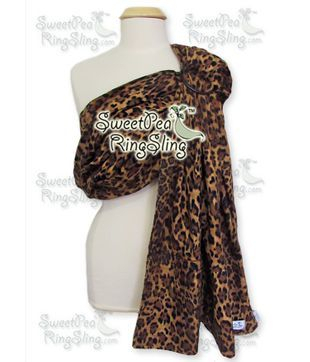 Shown with optional "hidden" zippered pocket in the tail. 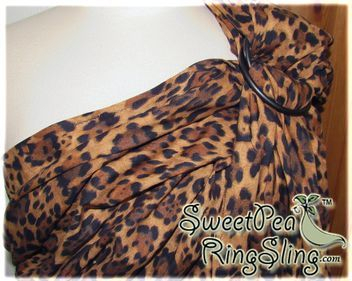 Great for your keys, pacifier, extra diaper, wallet, etc!